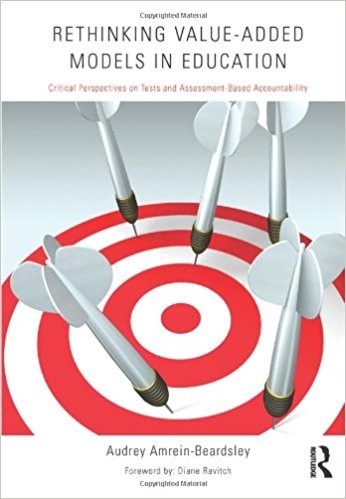 Rethinking Value-Added Models in Education: Critical Perspective on Tests and Assessment-Based Accountability by Audrey Amrein-Beardsley describes and analyzes the imposition of value added test-based evaluation of teachers, the theory behind it, the real-life consequences, and its fundamental flaws. It contains great detail and should be in the hands of any person or organization fighting this alarming practice. Click at the bottom of any page to get a copy for your school’s professional development library. Audrey is a former middle and high-school mathematics teacher. She received her PhD in 2002 from Arizona State University in the Division of Educational Leadership and Policy Studies. She is an Associate Professor in the Mary Lou Fulton Teachers College at Arizona State University, and one of the top education scholars in the nation who has been honored for contributing to public debates about the nation’s educational system. Audrey’s research interests include educational policy, research methods, and more specifically, high-stakes tests and value-added measurements and systems. In addition, she researches aspects of teacher quality, teacher evaluation, and teacher education. She is the creator and host of an online biographical show titled Inside the Academy during which she interviews top educational researchers. She is also the creator and host of the blog: VAMboozled!. Audrey starts with examples of how governments use policies to socially engineer the societies they govern. It starts with something in the way of a worst case example involving the Cambodian government who had a policy to kill all the intellectuals after the Vietnam War ended. The social engineering currently aimed at schools is traced back to the publication of A Nation at Risk in 1983. It began a series of policies that lead to the Measure and Punish or M & P theory of change. Using standardized tests to enforce accountability turns out to be an overly simplistic causal model. 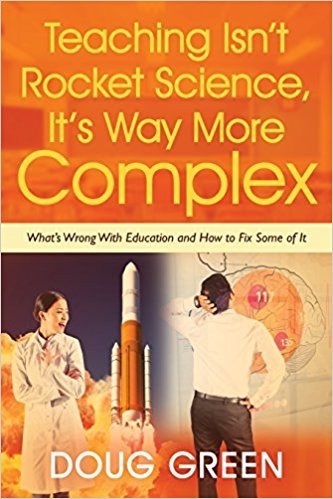 A better model would be more difficult to understand and defend as it would have to consider students’ levels of intelligence, social capital, and levels of risk. To this point, empirical evidence shows that the M & P theory is flawed and misguided, and many of it’s early proponents have become its biggest opposition. There many reports of how teachers and administrators have gamed the system and resorted to outright cheating. By some standards, the M & P theory of change and its policy derivatives might be viewed as the greatest failed social engineering project of our time. At the end of each chapter, Audrey includes a box with the top ten assertions made in the chapter. You might consider reading these boxes first and last. This entry was posted on Wednesday, February 11th, 2015 at 7:30 am	and is filed under Book Summaries, Education Books, Leadership Books. You can follow any responses to this entry through the RSS 2.0 feed. You can leave a response, or trackback from your own site.